Marking the tenth anniversary of the National Centre for the Performing Arts, the NCPA Orchestra feels honoured to serve as China’s cultural ambassador to the United States. 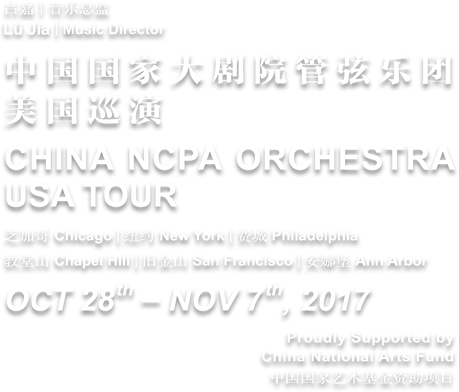 The orchestra will perform concerts in Chicago, New York, Philadelphia, Chapel Hill, San Francisco and Ann Arbor under the guidance of Music Director LÜ Jia to celebrate the friendship between both nations through music. In the ten years since its founding, the NCPA has recognized the value that the arts can bring to our lives, and offers the highest quality performances for the public and to the arts community, which had strengthened international relations. It has witnessed the most dramatic development of classical music in China’s history, the growing vitality of performance arts in the social life of the country, and the increasing frequency of international exchanges in global arts and festivals. The NCPA remains honoured to act as a key player in the course of history and to make significant contributions to the latest chapter in performing arts of China. The rapid growth of the NCPA Orchestra in recent years has demonstrated a splendid example of Chinese musicians in our new era. The performances are infused with vitality, which not only represent outstanding artistic talent but symbolize the unique voice and style of the nation. After a highly successful tour to Canada and the United States in 2014, the second tour to the US in 2017 will usher in another era of artistic friendship to mark a milestone for cultural and artistic exchanges between China and the US. 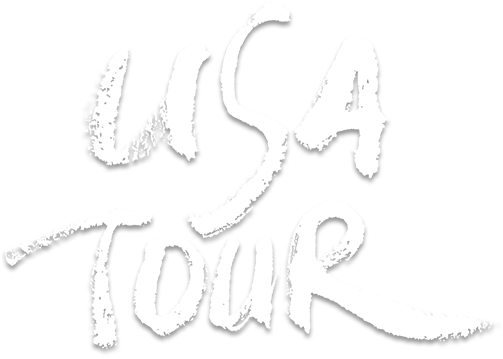 The tour is warmly supported by its partners: the Chicago Symphony Orchestra, Carnegie Hall in New York, the Philadelphia Orchestra, Carolina Performing Arts Association, San Francisco Symphony, and University of Michigan’s Musical Society, and receiving special funding from the China National Arts Fund. I hereby extend our sincere gratitude to our partners for their support. 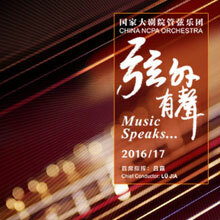 Finally, I wish great success for the China NCPA Orchestra’s US tour. 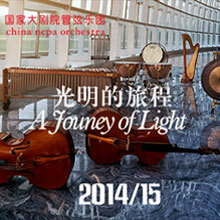 China NCPA Orchestra is resident orchestra of the National Centre for the Performing Arts, Beijing. Established in March 2010, the orchestra consists of highly-accomplished musicians from all over the world, who perform in more than a dozen opera productions presented by its home venue each year, as well as in ballets and regular orchestral concerts in its own season. Despite a busy schedule, the young ensemble has quickly established itself as one of the most dynamic orchestras in the country. 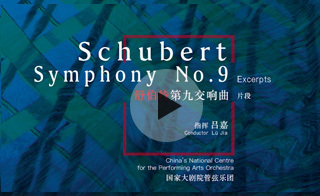 LÜ Jia had assumed the post of chief conductor in February 2012, succeeding Zuohuang Chen, the current Conductor Laureate, NCPA’s then Artistic Director of Music, as well as founder of the orchestra. YUAN Ding was appointed Assistant Conductor in the same year. In January 2017 upon Zuohuang Chen's retirement, LÜ Jia started serving as NCPA's artistic director of Music and the NCPA Orchestra's music director. 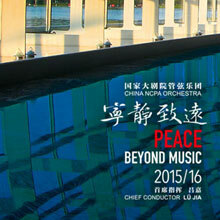 Chinese conductor LÜ Jia's work has received great international acclaim. 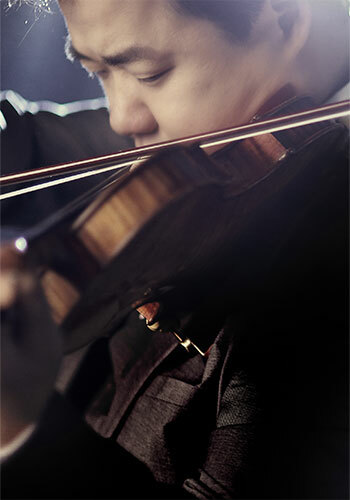 Born into a musical family in Shanghai, he began studying piano and cello at a young age. He later studied conducting at the Central Conservatory of Music in Beijing, under the tutelage of esteemed conductor ZHENG Xiaoying. At the age of 24, LÜ entered the University of Arts in Berlin, where he continued with his studies under Professor Hans-Martin Rabenstein and Robert Wolf. The following year, he was awarded both the First Prize and Jury's Prize at the Antonio Pedeotti International Conducting Competition in Trento, Italy, and launched his career as a conductor. 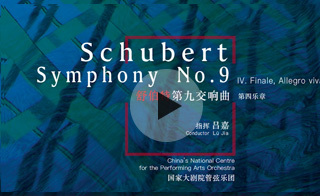 The Chinese musicians (of The NCPA Orchestra) play with fine fire and admirable cohesion under Chief Conductor Lü Jia.… in Dvorak’s Symphony No.8,Lü Jia clearly has a feel for how this music should go and he brought out the Bohemian composer’s pastoral lyricism as idiomatically as the eruptive energy. The orchestra and conductor took complete possession of both Dvorák's colorful Eighth Symphony and the Symphony Center stage.The brass section played with a kind of high-spirited but noble brio.… In the first movement,the violins churned up a positively Wagnerian storm,……Shaped by Lü Jia's sensitive baton,the slow second movement was a study in magically hushed moments and grave,dignified woodwind song.Even in the final movements,excited outbursts,we had a sense of the orchestra as a cohesive unit,players at the top of their game immersed in heady conversation. Opened in 2007,China’s National Centre for the Performing Arts (NCPA) has become one of the leading institutions of its kind in the world.Strongly committed to presenting and supporting the highest standards of artistic excellence,the NCPA is considered the home away from home for many of today’s leading artists and ensembles.Across four stellar state of the art performance spaces,the NCPA presents more than 850 events annually,from classical and contemporary concerts,to opera,ballet and theater productions,to education and outreach programs.With a mission to share the transformative power of the arts to as many people as possible,the NCPA serves a diverse and broad audience spanning all ages and socioeconomic backgrounds. The NCPA is not only celebrated as a leading venue for visiting performing artists and ensembles,but it is also home to one of China’s premiere orchestras,the China National Centre for the Performing Arts Orchestra.Since its launch in 2010,the NCPA Orchestra has become one of the brightest jewels in China’s artistic crown,performing many critically acclaimed concerts at the venue and abroad.In addition to their main-stage concert season,they are also the resident Orchestra for all of the NCPA’s opera productions.Under the direction of its Chief Conductor,Lü Jia,the ensemble is composed of some of the world’s finest musicians,who all share in the NCPA’s belief in presenting concerts of the highest artistic quality. Established at the highest level in China, NING Feng performs regularly in his native country with major international and local orchestras, in recital and with the Dragon Quartet, which he founded in 2012. Now based in Berlin and enjoying a world-renowned career, he has developed a reputation internationally as an artist of great lyricism and emotional transparency. displaying tremendous bravura and awe-inspiring technical accomplishments, NING Feng plays a 1721 Stradivari violin, known as the "MacMillan", on private loan, arranged by Premiere Performances of Hong Kong, and plays on strings by Thomastik-Infeld, Vienna. Born in Chengdu, China, NING Feng studied at the Sichuan Conservatory of Music, the Hanns Eisler School of Music (Berlin) with Antje Weithaas and Royal Academy of Music (London) with HU Kun, where he was the first student to be awarded 100 percent for his final recital. The recipient of prizes at the Hanover International, Queen Elisabeth and Yehudi Menuhin International violin competitions, NING Feng was First Prize winner of the 2005 Michael Hill International Violin Competition (New Zealand), and in 2006 won first prize in the International Paganini Competition. 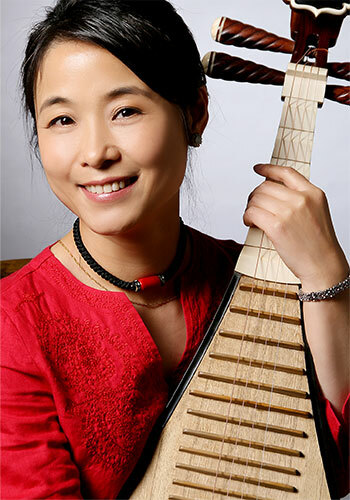 WU Man is a Chinese pipa player and composer. Trained in Pudong-style pipa performance at the Central Conservatory of Music in Beijing, she is best known for playing a broad range of musical styles and introducing the pipa and its Chinese heritage into Western genres. She has performed and recorded with the Kronos Quartet and Silk Road Ensemble and has premiered works by Philip Glass, Lou Harrison, Terry Riley, Bright Sheng, TAN Dun, ZHAO Jiping, and ZHOU Long, among many others. She has recorded and appeared in over 40 albums, five of which have been nominated for Grammy Awards. In 2013, she was named Instrumentalist of the Year by Musical America, becoming the first performer of a non-Western instrument to receive the award. She is the first native Chinese artist to perform at the White House and received The United States Artist Award in 2008. Born in Hangzhou, Zhejiang, WU Man is a master of pipa performance who studied Pudong-style under LIN Shicheng, KUANG Yuzhong, CHEN Zemin, and LIU Deha. Since his gold medal win at the Thirteenth Van Cliburn International Piano Competition in 2009, 27-year-old Chinese pianist ZHANG Haochen has captivated audiences in the United States, Europe, and Asia with a unique combination of deep musical sensitivity, fearless imagination and spectacular virtuosity. In 2017, Haochen received the prestigious Avery Fisher Career Grant, which recognizes the potential for a remarkable career in music. 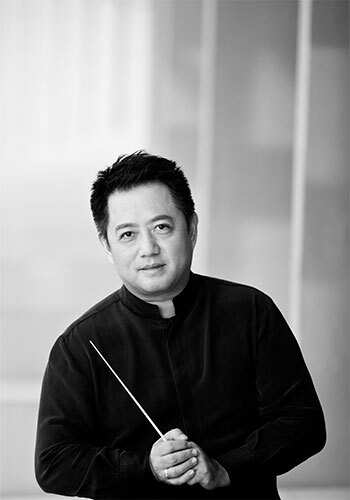 A popular guest soloist for many orchestras in his native China, Haochen made his debut in Munich with the Munich Philharmonic and the late maestro Lorin Maazel in April 2013, preceding their sold-out tour. Haochen has also toured in China with the Sydney Symphony and David Robertson in Tokyo, Beijing and Shanghai with the NDR Hamburg and Thomas Hengelbrock and following a performance in December 2014 with Valery Gergiev and the Mariinsky Orchestra in Beijing, Gergiev invited him to his Easter Festival in Moscow. Haochen has performed with the Philadelphia Orchestra, Munich Philharmonic, San Francisco Symphony, LA Philharmonic, Pacific Symphony, Kansas City Symphony, Seattle Symphony, Israel Philharmonic, Sydney Symphony, London Symphony, Japan Philharmonic Singapore Symphony and Hong Kong Philharmonic orchestras. In recitals, he has performed at Spivey Hall, La Jolla Music Society, Celebrity Series of Boston, CU Artist Series, Cliburn Concerts, Krannert Center, Wolf Trap Discovery Series, Lied Center of Kansas and UVM Lane Series, among others. International tours have taken him to cities including Beijing, Hong Kong, Tokyo, Tel Aviv, Berlin, Munich, Paris, Dresden, Rome, Tivoli, Verbier, Montpellier, Helsingborg, Bogota and Belgrade. His performances at the Cliburn Competition were released to critical acclaim by Harmonia Mundi in 2009. He is also featured in Peter Rosen’s award-winning documentary chronicling the 2009 Cliburn Competition. 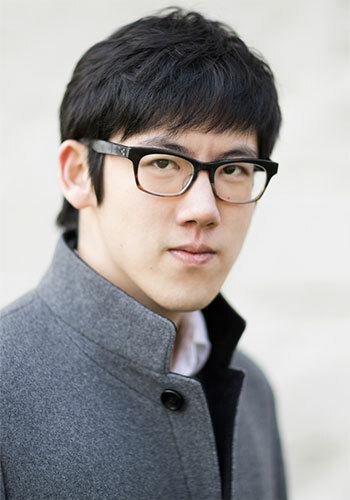 Haochen is a graduate of the Curtis Institute of Music in Philadelphia where he studied under Gary Graffman. He was previously trained at the Shanghai Conservatory of Music and Shenzhen Arts School, where he was admitted in 2001 at the age of 11 to study with Professor DAN Zhaoyi. 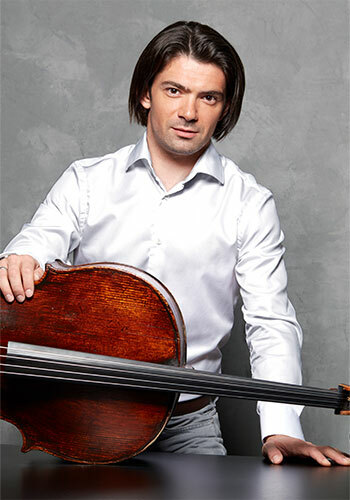 Gautier Capuçon is a true 21st century ambassador for the cello. Performing each season with many of the world's foremost conductors and instrumentalists, he is also founder and leader of the "Classe d'Excellence de Violoncelle" at the Fondation Louis Vuitton in Paris – based in the stunning new Auditorium designed by Frank Gehry. Capuçon records exclusively for Erato (Warner Classics) and has won multiple ECHO Klassik awards. He is acclaimed abroad for his expressive musicianship and virtuosity, as well as for the glorious sonority of his 1701 Matteo Goffriller cello. Gautier Capuçon continues to work regularly with conductors, such as Charles Dutoit, Semyon Bychkov, Valery Gergiev, Gustavo Dudamel, Lionel Bringuier, Andris Nelsons, Christoph Eschenbach, Andrés Orozco-Estrada and Yannick Nézet-Séguin; and collaborates with contemporary composers including, amongst others, Lera Auerbach, Karol Beffa, Esteban Benzecry, Nicola Campogrande, CHEN Qigang, Jerome Ducros, Henry Dutilleux, Thierry Escaich, Philippe Manoury, Bruno Mantovani, Krzysztof Penderecki, Wolfgang Rihm, Jörg Widmann. Over the past decades, he has conducted over 2,000 orchestral concerts and opera performances in Europe and America, and became the first Asian conductor to serve as artistic director of a major Italian opera house, as well as the first Chinese conductor to lead Chicago Symphony. He has worked with important productions at the Bayersiche Staatsoper in Munich, Deutsche Oper Berlin and La Scala in Milan, including opera houses in Lausanne, Turin, Rome, Naples, Verona, Venice, Florence, Frankfurt and Stuggart. He has also worked with many renowned orchestras: Royal Concertgebouw Orchestra, Chicago Symphony Orchestra, Gewandhaus Leipzig, Munich Philharmonic, Orchestra dell' Accademia Nazionale di Santa Cecilia, City of Birmingham Symphony Orchestra, Royal Liverpool Philharmonic, Oslo Philharmonic, Lyon National Orchestra in France, Finnish Radio Symphony, Hamburg Radio Symphony, Bamberg Symphoniker, Sydney Symphony Orchestra and many others across Europe, America and Australia. LÜ Jia was the first Chinese conductor to record Felix Mendelssohn's complete orchestral works, and the only conductor to have recorded the complete works of Swedish composer Ingvar Lidholm. His interpretations of German Classical Romanticism and French Impressionists have been praised for their "extremely convincing musical interpretation" with "musical precision and perfect baton technique." Having directed nearly 50 operas in Italy and Germany, homelands of the European opera tradition, he has also been praised by Italian music critics as "a conductor who understands Italian opera even better than the Italians themselves do." In 2007, his performance of La Gazza Ladra at the Rossini Opera Festival in Pesaro was voted as European Opera Production of the Year. That same year in recognition of his important contribution to musical culture in Italy, LÜ Jia was awarded the President's Prize by President Giorgio Napolitano. In 2012, the Domingo International Vocal Competition invited him to serve on the jury, making him the Competition's first-ever Chinese jury member. 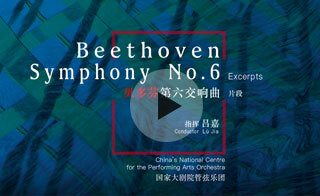 In 2012, LÜ Jia was appointed Chief Conductor and Artistic Director of Opera at the NCPA. Under his musical direction, the NCPA's productions of Lohengrin, The Flying Dutchman, Othello, La Nozze di Figaro, Un Ballo in Maschera, Tosca, and many other works, have received glowing reviews from the international press. With brand new productions aspiring to high international standards, the NCPA has become a strong contender in the world of opera, and also launched an exciting new chapter in the history of professional opera productions in the country. Meanwhile, the NCPA Symphony Orchestra has quickly established itself as one of the leading ensembles in the orchestral world in China, delivering impressive performances season after season. In 2017, LÜ Jia has been appointed as Artistic Director of Music and Chief Conductor of China NCPA Orchestra. 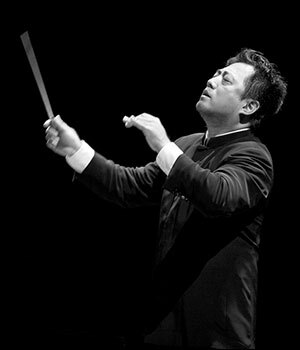 Before taking up his current posts in Beijing, LÜ had served as Music Director at Verona Opera, Artistic Director at Symphony Orchestra of Tenerife, as well as Chief Conductor at Trieste Opera, Symphony Orchestra of Florence, Lazio Chamber Orchestra of Rome and Norrkopping Symphony Orchestra in Sweden. He remains the Music Director and Principal Conductor of Macao Orchestra. Lü Jia has built his reputation in opera and has a great feel for the kind of outsized drama and sweeping gestures that this symphony (Dvorak’s Symphony No.8) abounds in.The orchestra seemed fully in its element as well,turning in a big-boned reading full of soaring,thundering grace and exceptionally fine playing from the strings. Under the baton of Lü Jia,they played at a high technical level,with assured precision and energy,particularly at home in music by Ravel and Qigang Chen. The Ottawa performance demonstrated the NCPA Orchestra is a polished,first rate ensemble which is doing its home nation an excellent service in its role as cultural ambassador. The strings are already impressive,above all the very appealing cello section,whose commitment warmly recalls its counterpart in the Los Angeles Philharmonic Orchestra in the era of Zubin Mehta. This is a passionate conductor,gifted with a beauty of gesture,clear for both the musicians and for the listeners.… One would like to see him conduct the OSM one day: this musician truly has something to express. Hats off to this accomplishment: it is worth while to discover musicians like these,of inexhaustible resources. Turning to a larger canvas,the orchestra found a near-perfect outlet in Dvorak’s Symphony No.8.This was a vibrant reading that captured the score’s details with precision and with just the right spirit. Dvorak’s Symphony No.8: They scored high marks in the middle movements: the winds brought a warm,pastoral glow to the Adagio,while the later G-minor waltz melody flowed effortlessly.Lü and his players exposed the music’s charms with an impressive,sometimes dramatic,flair. Verdi,Simon Boccanegra: The NCPA Orchestra,under Myung-Whun Chung’s baton becomes a biggest surprise.…… With a great beauty of the lyricism that they have brought out in many phrases,the orchestra has created a new peak for all operatic music that I have ever heard on China’s opera stage. The NCPA Orchestra has proven an abiding commitment to the highest levels of artistic excellence and has taken pride in its long-term collaborations with the finest musicians of our time that include: Zubin Mehta, Valery Gergiev, Myung-Whun Chung, Christoph Eschenbach, Vladimir Ashkenazy, Yan Pascal Tortelier, Gunter Herbig, Leif Segerstam, Shao-Chia Lü, TANG Muhai, ZHANG Xian, Gilbert Varga, Lang Lang, Rudolf Buchbinder, Stephen Kovacevich, Yuja Wang, Khatia Buniatishvili, Kyung-Wha Chung, Vadim Repin, Jian Wang, Gautier Capucon Han-Na Chang, Alison Balsom, Leo Nucci, Placido Domingo and HE Hui among many others. Maestro Lorin Maazel worked closely with the orchestra before his passing and praised the musicians for "amazing professionalism and great passion in music." After working with the orchestra in a series of concerts and the NCPA’s new production of La Traviata in June 2010, Maestro Christoph Eschenbach declared it, "one of the finest orchestras in Asia." 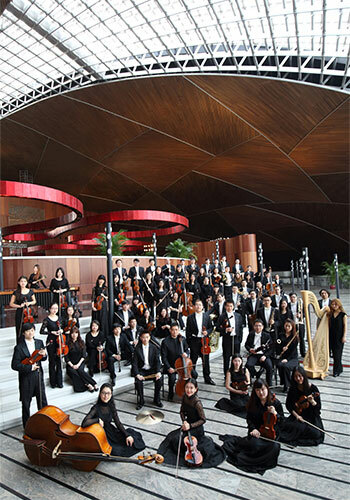 In the first few years since its founding, the China NCPA Orchestra has become one of the leading ensembles in the nation both on stage and in the pit, gaining critical acclaim for its numerous opera productions and a variety of other performances. They have played for over 30 new productions, including classical repertoire works such as Tosca, The Barber of Seville, Die Fledermaus, Lohengrin, Aida, Otello, Nabucco, as well as newly-commissioned works,The Chinese Orphan, Rickshaw Boy and Visitors on the Snow Mountain. 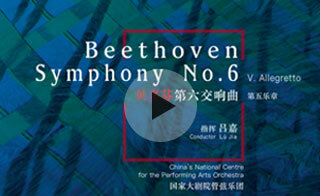 In its own orchestral concert season, the orchestra has presented creative and diverse programs, including a remarkable Beethoven Project under the baton of LÜ Jia in 2013. The performance of mammoth Ring without Words with its creator, Lorin Maazel, was released on SONY Classics worldwide, the only recording the great maestro has ever made with a Chinese orchestra. Another important field of work the orchestra has explored extensively in the short period of time since its establishment is the creation and promotion of contemporary music. Having presented Chinese premieres of major works by John Admas, Toru Takemitsu and Giya Kancheli, it gave world premieres of more than ten substantial new orchestral works commissioned by the NCPA, written by composers from across the globe including Michael Gordon, Augusta Read Thomas, Kalevi Aho, Joby Talbot and ZHAO Jiping. It has also played a major role in the NCPA's annual Young Composers Program, providing a unique platform to nurture the next generation of Chinese composers. The NCPA Orchestra has flexed its wings on the international stage with high-profile touring work, receiving widespread praise. From 2012 to 2015, the orchestra was invited by Kissingen Summer Music Festival and Schleswig-Holstein Musik Festival, and made its German tour with concerts in Nürnberg, Hamburg and Berlin. It also gave performances in Sydney, Singapore, Seoul, Daegu, Taipei and Macau. During the 2014/15 season, the orchestra undertook its first North American tour, where it performed in seven major cities across the US and Canada, under the baton of LÜ Jia, which was not only a milestone for this young ensemble, but a breakthrough for any Chinese orchestra performing abroad. Musical America praised its "joyful confidence and youthful strength." Concerto Net described it "a polished, first rate ensemble." With its commitment to educational programs and outreach, the orchestra has presented a series of Weekend Matinee Concerts at its home venue. With specially-selected programmes and affordable ticket prices, these have become popular with Beijing audiences new to classical music. 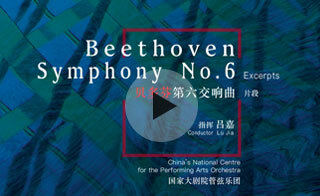 Current plans include a new series highlighting the Beethoven symphony cycle, led by its Chief Conductor, LÜ Jia. Meanwhile, the orchestra has frequently initiated wide-reaching projects in association with educational institutions citywide. 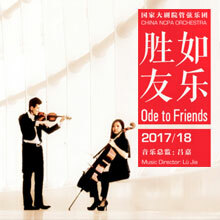 The forthcoming 2017/18 season will have "Ode to Friends" as its central theme, featuring concerts conducted by LÜ Jia, ZHANG Xian, ZHENG Xiaoying, Fabio Luisi, Christopher Eschenbach, Zubin Mehta, Alexandre Bloch, ZHANG Guoyong, Rainer Honeck, YUAN Ding, with soloists Rene Fleming, Maureen McKay, Kristin Lewis, Liang Li, Alexei Volodin, ZHANG Haochen, Behzod Abduraimov, SUN Yingdi, LÜ Siqing, ZHU Dan, Clara Jumi Kang, Hsin-Yun Huang, Gabriel Schwabe, WANG Liang, LI Biao, and many others. Renowned composer CHEN Qigang and pianist Lang Lang, both as this season's Artist-in-Residence, will lead a number of concerts along with educational projects. The orchestra is expected to perform in 15 NCPA opera productions including, Tristan und Isolde and Falstaff. In this season and will initiate its second tour to the US and will give performances at Carnergie Hall, Chicago Symphony Center, Kimmel Center, Davies Symphony Hall and other two prestigious venues, in collaborations with ZHANG Haochen, Gautier Capucon, WU Man and NING Feng.